This episode is bought to you by Victoria's Small Business Festival, happening across the state from in August and early September 2017. 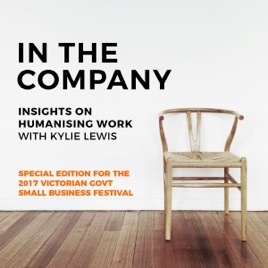 Check out http://festival.business.vic.gov.au/ to access over 500 free and affordable events to elevate, support and inspire you and your business. “One in five Australians will experience a mental health condition during their lifetime. Over one million Australians live with depression, and over two million have anxiety. As one of the largest employment sectors in Australia, small to medium enterprises (SMEs) are highly likely to face a mental health related issue in their workplace at some point. • PWC research shows: $2:30 is the average return on investment for every $1 invested in creating a mentally healthy workplace.